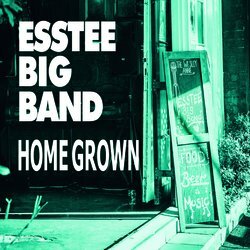 Esstee Big Band is Melbourne’s hardest-swinging 18-piece jazz ensemble. Featuring fabulous singers Margot Leighton and Zac Teichmann, plus regular special guests, Esstee has performed at the Wangaratta Jazz Festival for more than 20 years. The band performs the best of the classic big band vocal repertoire, as well as the most exciting instrumentals and original compositions in town. Esstee currently plays the last Sunday of every month at the Wesley Anne in High St Northcote. Margot Leighton's original inspired by her travels to Frenchman Street in New Orleans, the birthplace of Jazz! This will get you up and dancing, or at least get the vacuuming done!